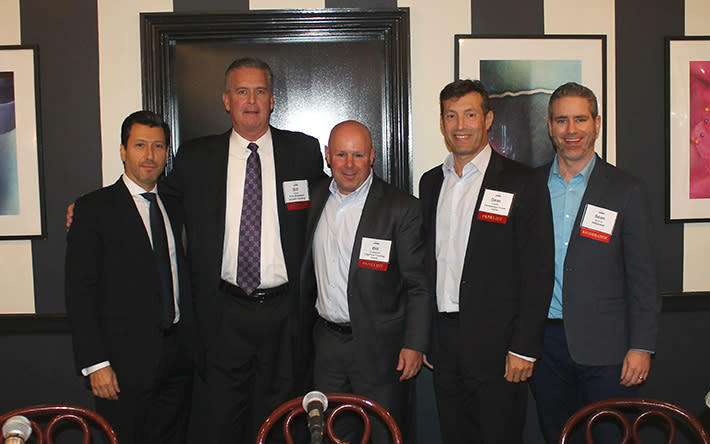 Yesterday, the New York Institute of Credit (NYIC) hosted a conference in Manhattan with attendees from several segments of the commercial finance industry, including factoring, MCA, and asset based lending. Approximately 100 registrants gathered at Arno Ristorante in the garment district section of midtown. In addition to local New York firms, attendees travelled from as far as Chicago and California to be at the event. “By all accounts, it was a big success,” said Harvey Gross, Executive Director of the NYIC, which recently celebrated its 100th anniversary. The half-day conference was a collaboration of the NYIC, the Alternative Finance Bar Association (AFBA), the IFA Northeast, and deBanked. Nineteen panelists, many of them executives at financial companies and lawyers, contributed to four panels that filled the afternoon with lively and thoughtful conversation. Regulations coming out of California and just recently from New Jersey, were hot topics of discussion. deBanked founder Sean Murray moderated a panel on Best Practices. “These type of collaborative events are necessary as commercial finance offerings continue to expand. Education and debate create a more fluid marketplace,” Murray said. Andrew Bertolina, whose company Finvoice offers factors and asset-based lenders a sleek software solution, said it was “great to see everyone at the Lending Conference and cross-pollination of MCA, factors and fintech players. Most cross-pollination at this IFA NYIC event than in prior factoring events.” Bertolina is the co-founder and CEO. The conference was sponsored by Change Capital, Finvoice, law firm Platzer, Swergold, Levine, Goldberg, Katz & Jaslow LLP, Aurous Financial, and Financial Poise.